Due to the explosive growth of data volume on the Internet, deduplication techniques have been wildly used in cloud storage to save both disk space and network bandwidth. However, conventional deduplication schemes lead to problems with data reliability that can be attributed to the algorithm implementation where there is only one copy for each file stored in the cloud. Furthermore, the participation of trusted third party in most of the previous work has brought about the security challenge as single point of failure. 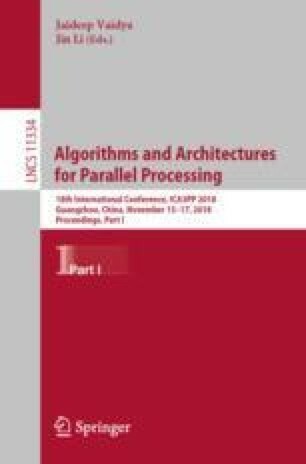 In this paper, we propose a blockchain based deduplication scheme with high reliability and confidentiality in which the files are distributed to multiple servers and the information of files is recorded on the time-stamped blockchain whose central authorities are replaced to automatically decentralized smart contracts. Based on the proposed scheme, we present relevant protocols to achieve secure cloud storage derived from the consensus and incentive mechanism. Security analysis demonstrates that our deduplication scheme can achieve the proposed security goals while it has limited overhead proved by simulation experiments. This work was supported by the National Natural Science Foundation of China under Grant Nos. 61702115 and 61672171, Natural Science Foundation of Guangdong, China under Grant No. 2018B030311007, and Major R&D Project of Educational Commission of Guangdong under Grant No. 2016KZDXM052, and China Postdoctoral Science Foundation Fund under Grant No. 2017M622632, and Opening Project of Guangdong Province Key Laboratory of Big Data Analysis and Processing No. 201805.